and the movement information, at any point of time, from anywhere and by any authorized users. GPRS stands for General Packet Radio Service. It is a new non-voice value added service that allocates Mobile Phones to be used for transmitting and receiving data over an Internet Protocol (IP) based network. GPRS as such is data possessor that facilitates wireless admittance to data networks like the Internet, enabling users to access E-mail and other Internet applications using Mobile Phones. GSM, which stands for Global System for Mobile communications, sovereignty as the world’s most extensively used cell phone technology. Cell phones use a cell phone service provider’s GSM network by probing for cell phone towers in the adjoining area. The vehicle device is powered by the vehicle’s 12-volt or 24-volt battery. It also has it’s own built-in backup battery in case it does not receive power from the vehicle battery for some reason. The backup battery lasts for 18 hours. Yes, there is a one year warranty on the vehicle device. However, incase the vehicle device is tampered with or reinstalled without the services of our trained personnel, the warranty will cease to be valid. How do I see the location of my vehicle? No software is required to be downloaded or installed for this. All you need is an Internet connection and a PC. You will login to our web application using the Internet browser from any PC to see the vehicle location on a digital map. The web application is extremely user friendly and will have you up-and-running within minutes. Additionally, you can request for the location of your vehicle by sending an SMS with the registration number of your vehicle to our number and in a return message, we send you the location. Further, you can also view the location of your vehicle on a map on your GPRS enabled mobile phone. A Geo fence is a virtual boundary defined around a location or area on the Earth’s surface. The existing location of an asset (characteristically acquired using GPS) is evaluated with the boundary and an alert triggered on entry or exit. A Geo fence may be a simple circle defined by a centre coordinate and radius, or a more complex shape defined by vertices of a polygon or a series of circular arcs. How GPS base tracking system works? A vehicle tracking system using GPS obtain the location, speed, direction and time data made available via satellite from the Global Positioning System to the GPS receiver unit installed in a vehicle and transmits it to a central computer (Server) connected to a private GSM network or the Internet. 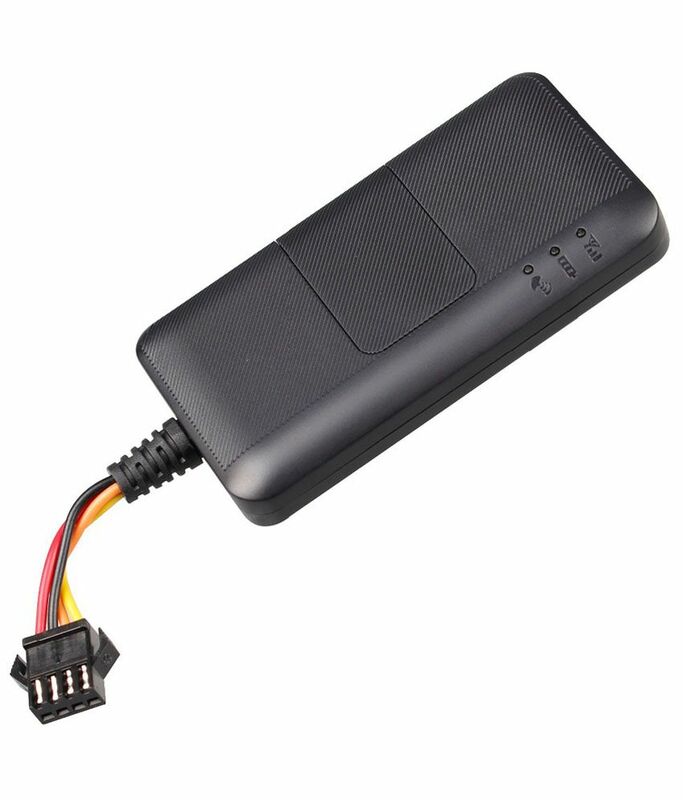 Do this device do any harm to my vehicle or other electronic device installed in my vehicle? No, installation of this device does not affect any other device installed in your vehicle. Is the there any recurring expenses involved, if Yes, Why? Yes, there is a nominal monthly recurring expenses is involved. It is so because, we provide a GPRS activated SIM card and the entire web related service. What is the warranty of the device? It is 12 month offsite from the date of installation/activation against manufacturing defect. The warranty will be void in case of any tampering.